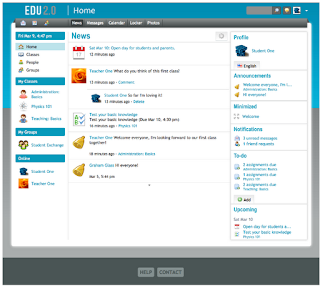 EDU 2.0 is a free course management system for schools. It is cloud-hosted, easy to use, and well designed and includes features for students, parents, teachers and administrators. Teachers can share class resources and more with their students and other teachers. The features are excellent. Teachers can create lessons, assessments, quizzes, an online gradebook, their own start page portal, class calendar, discussion forums and much more. The free plan includes unlimited teachers accounts with up to 2000 student accounts. 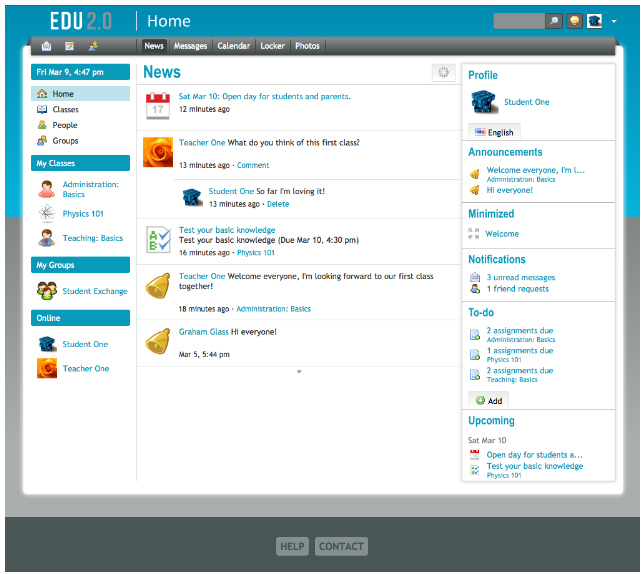 Features include: Customizable portal, Classes, lessons, resources, Five types of assignments, Quizzes and question banks, Rubrics, Gradebook, Collaboration tools, Portfolios, Libraries for sharing, News and activity feeds, Integrated social networking, Parent accounts, Great on mobile devices, Unlimited storage. This is another great option for schools looking for a course management system for in-person classes or even to start creating online courses.